Looking for a Motel near the Beach? Come join us at Emu Point Motel, Beach and Nature at your doorstep.. Escape the noisy traffic on the highway and come fall asleep to the sounds of the ocean rolling in. We are 200m from the world class Middleton Bay. Enjoy affordable, spacious, air conditioned comfortable accommodation with a choice of Classic Studios, Classic King Studios, Deluxe and Executive Apartments. 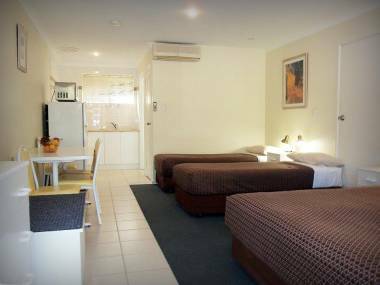 Emu Point Motel and Apartments in Albany, WA welcomes you to one of the world’s most peaceful escapes. Just minutes from the CBD of the thriving coastal town of Albany. You can relax on pristine beaches and enjoy all sorts of leisure activities from fishing, boating, surfing, golf, tennis and bowls to dining out on Albany’s fresh seafood and gourmet delicacies. Plenty of room for trailers and boats. Experience unforgettable whale watching in WA during the season! Our Emu Point Albany accommodation offers a fantastic location for both holidays and business. 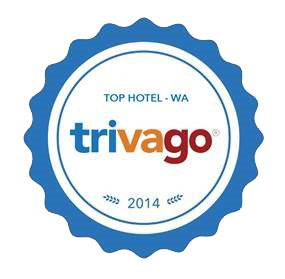 WA Tourism Council Accredited 4 star rating. Enjoy the sounds of waves and birdsong - no noisy traffic. Now there is even more reasons to visit Amazing Albany and spend a few days enjoying the south coast and all it has to offer. With so much to see and do in the region, now is an ideal time to come on down. There is nothing as spectacular as the south coast in winter! Offer valid on direct bookings only, not valid for public holiday weekends or school holidays. "Rooms were clean and adequate. Good location. Some nice touches i.e. fresh coffee, soaps etc. Kitchen amenities very good. WiFi access reasonable price compared to other places. Discount on Albany Whale watching was good - highly recommend this in Whale Watching season." "Each motel room as its own mini kitchen. Great shower (super warm), separate toilet. Queen size bed and comfy couch. Also little dining table and tv that can be watched from bed or kitchen. The thing that made our stay was the lovely managers / owners. So friendly at check in and when I asked for an extended check out (so could have a shower after scuba diving) they were more than happy to help out. They asked how our diving went and had quite a chat about holidays, diving etc. So very friendly. A comfy bed, hot shower . Will definitely stay there again if i was heading back to Albany. Great stay!!" "Emu Point Hotel, only one thing to say-excellent. Nice and clean room, all the facility's wanted and the best of all service. I've been traveling all over Oz, more than 36,000 kms and I tell you it's hard to beat this accommodation. They are motorbike friendly as well"
Click here for information on our three bedroom holiday house, Kiras , which is located in Albany.